I read those words from Mark yesterday and I smiled. They sound like an impatient parent who’s just about had enough of their child’s antics. Did Jesus almost lose it? I don’t think He did but it showed that He was human. The words sound like they were written today. An ‘unbelieving generation’ could quite easily apply to many parts of the USA and the world. Just like the disciples we sometimes just lack faith. How long will He put up with us? It’s written that Jesus will one day return. Why doesn’t he just give in and get on down here and sort us out? It’s because there’s still a lot of His work that needs to be done. For those that are believers it’s to bring as many people to faith as possible. In our community and the world. To put in more hours and find that extra ounce of energy to do His work. But do we have time for that? Funny to think that it’s really the only job we need. If we have faith and we’re fully committed to Him than He will provide all that we need. Maybe not in the way that we want, but He will supply the energy and the time. Meanwhile, He is putting up with us. Continually forgiving and showing grace and mercy. In return, we should perhaps go that extra mile. For Him! Heavenly Father, forgive us for always falling short. Help us go that extra yard in our faith, so we can fully live our lives through you – Amen! God wants you on his team! I recently met someone about some potential work who said to me “You’ve been around a bit. Done ‘some’ good work”. I feel like I’ve dedicated all of my energy over the last 26 years to the business I’m in. I’ve pushed any creative skills I’ve been blessed with as far as I can. And occasionally further than I could ever imagined. I was at first put out by what the guy said. “Done ‘some’ good work” but I wondered later if they were words from God. On my path with God “Been around a bit. Done ‘some’ good work” is probably a fair review. I haven’t excelled but I don’t think God isn’t looking at me and thinking ‘You’re best years are behind you’. I believe I have my best work for God ahead of me because I don’t feel I’ve reached my potential with Him. And I find that an exciting prospect. God loves us and knows we have tremendous potential. In his eyes we’re fledglings about to embark on a career or journey with Him as our leader. This is not about us all giving up our day jobs or trying less hard at them. 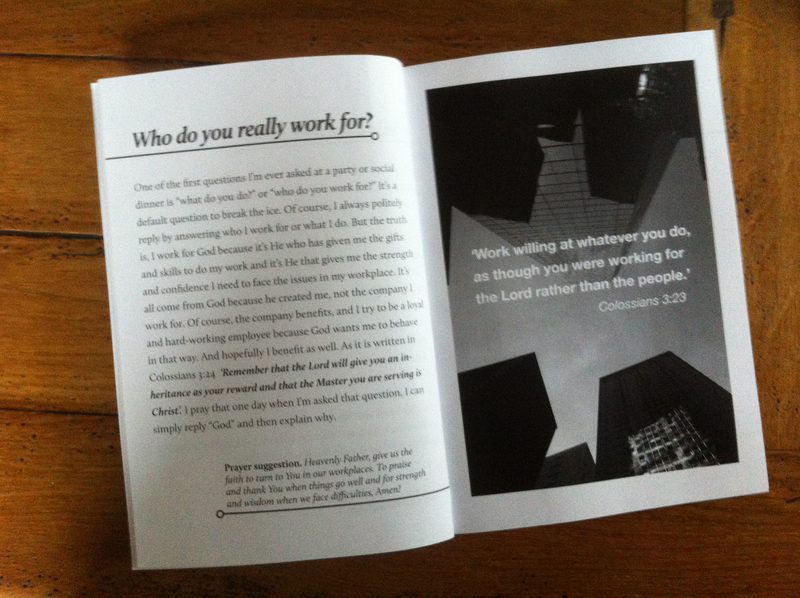 But as my very first post on this blog said ‘It is God who we work for’. It is He who judges our performance and how successful we really are, not anyone else. Heavenly Father, help us realize that our best work is done through you and for you – Amen! 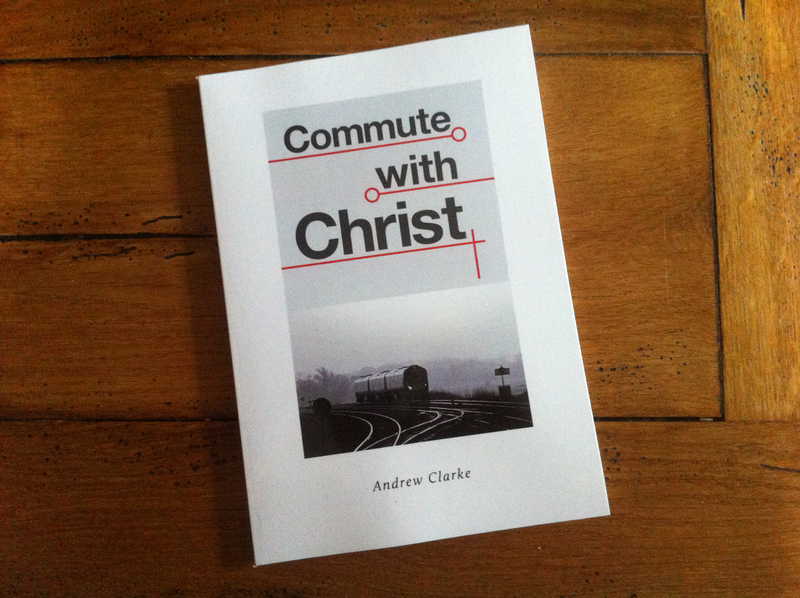 Commute with Christ is now a book! With God’s guidance and strength I have written a book based on my posts over the last 12 months. It’s a very quick and easy read with pictures and diagrams. I have inserted a few pictures into this post. If anyone reading this feels like they would like a copy please let me know, whether it be for individuals or church members. I feel it could be of value to a church with a big commuter population. I would just need to cover printing costs and shipping. My plan is to print more either by self-publishing or getting the support of an actual publisher. 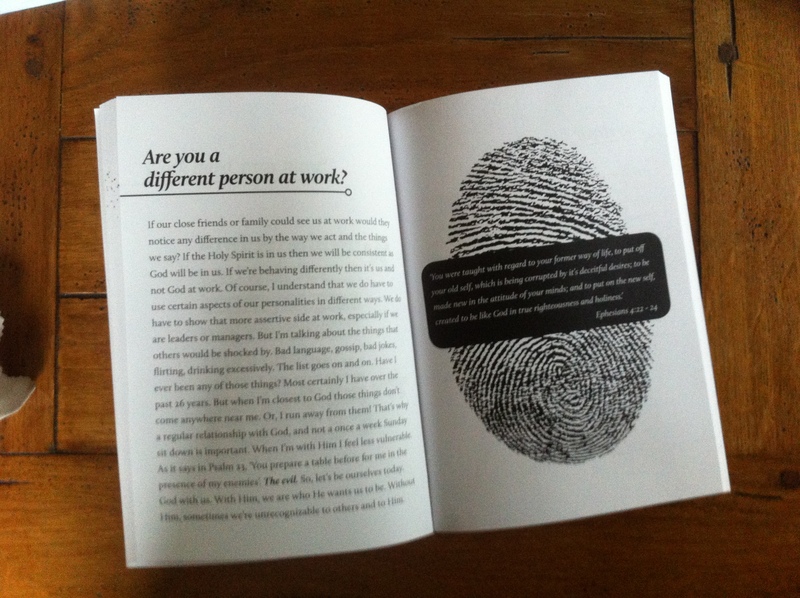 The more I print via self-publishing the cheaper it is. Also, the more interest I get, the better I’ll know the best way to publish it.